Earlier in 2017 Everland Jazz presented a reissue of Danser’s Inferno’s – Creation One, originally released in 1973. 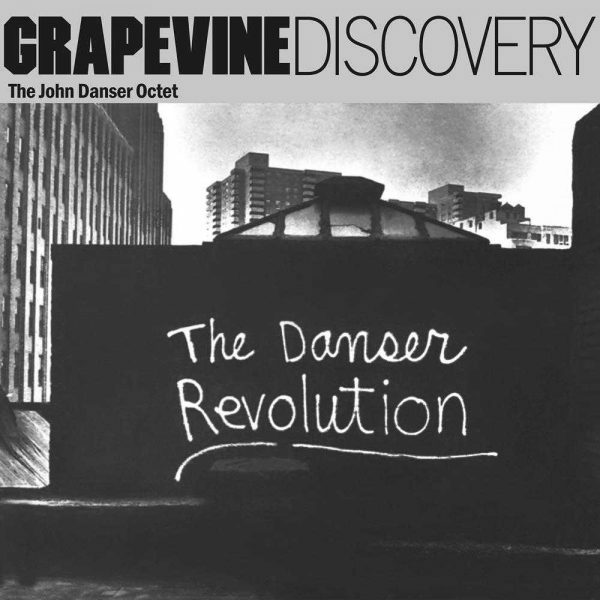 Now we present the even more obscure release The Danser Revolution by The John Danser Octet, almost impossible to find in original format. The ultra rare funky jazz LP from 1977 contains the killer funky fusion tune “Cool” known for being sampled by Gangstarr, Blackalicious and J.Dilla. At age 14, John Danser emigrated from London and established himself in New York City where he earned a master’s degree in music at the Manhattan school of music. In his early years, Danser played in classical as well as jazz gigs, simultaneously arranging and composing. In the 1970’s, composer and multi-instrumentalist John Danser formed Danser’s Inferno, a funky Jazz-Rock-Fusion band, an ensemble of 14 very talented musicians. The John Danser Octet most probably contains the core of that same ensemble but the groups’s single album is so rare that little is known about it’s exact origins. So, just let the great music speak for itself.